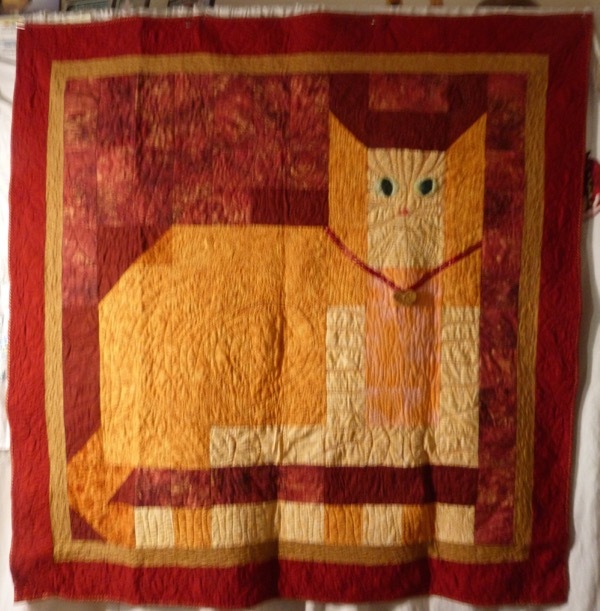 Yes, I have been quilting. I can’t believe I haven’t posted anything since last August, except that life is different when you no longer live the nomadic life. Once you settle, you . . . kind of have to grow up. Everything we never really wanted to do. It has its merits – spending time with grandchildren. Not having to pack up a household every few months or couple of years, and unpack it again, no more of those frequent long trips when you live overseas and someone in the US is sick, or dying. . . those are the good things. For me, losing the nomadic life has meant losing all the time I had to quilt. When you go someplace new, it takes time to connect with your community, your husband works long hours, I always had quilting – and quilting had me. Now, we are more connected – church, family, commitments, obligations, freely made . . . it all takes time. I started this quilt in November and finally finished it in February. It is for a good friend, a woman I admire so much. She saves cats. She finds abandoned cats, feral cats, traps and neuters them, and works valiantly to find them new homes. 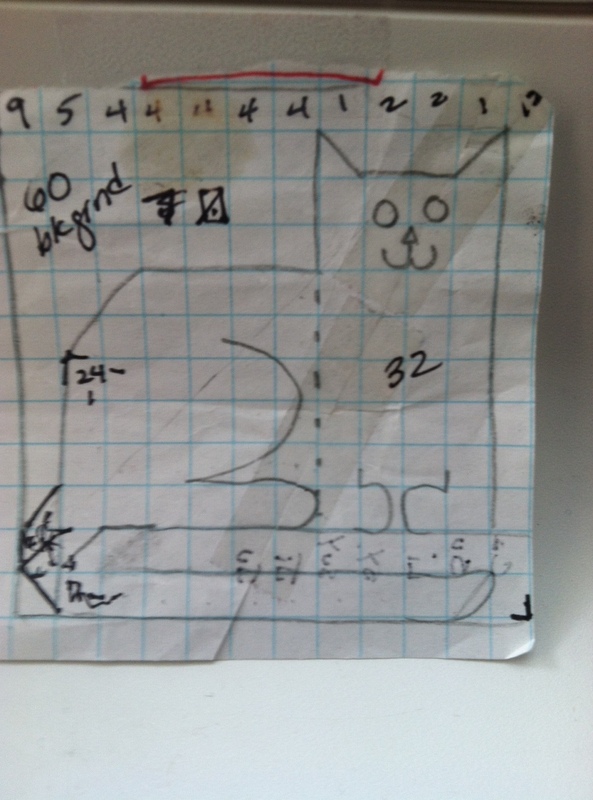 Her first cat is a gold cat, my favorite kind of cat; she says Lucy taught her about the world of cats needing homes. My friend creates a better world by her selflessness, giving her time and focus to caring for and re-homing these lovely creatures. She just found us two more, Ragnar and Uhtred, and I made the quilt to honor her. I need to thank my friend Paramjeet, who made sure I had the self confidence and the skills to do the kind of intense quilting that goes into surface quilting. I had tried it previously once, and where I quilted intensely, I distorted the quilt. Oh arrrgh. This time, it worked out better. This quilt is for a lady who works for me, and with whom I have become friends. She got to pick out the fabrics, and there were a lot of them. The challenge was figuring out how to make them all work together. It seems to have worked out; she loves the quilt. We both like African fabrics. Her favorite block is the one with the fabric from Ghana, it has green flowers and kind of jumps out of the quilt. 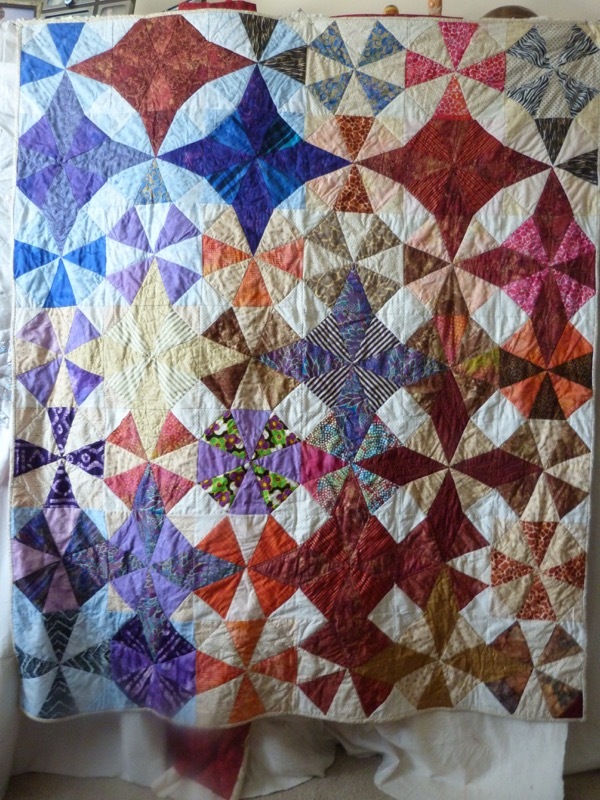 This entry was posted in 2017, Comfort Quilt, Fabric selection, Hand applique, Kaleidescope, Machine pieced, Machine quilting, Utterly original.